I have gathered over my bakes. flavours you could add to them, be it sweet or savoury. 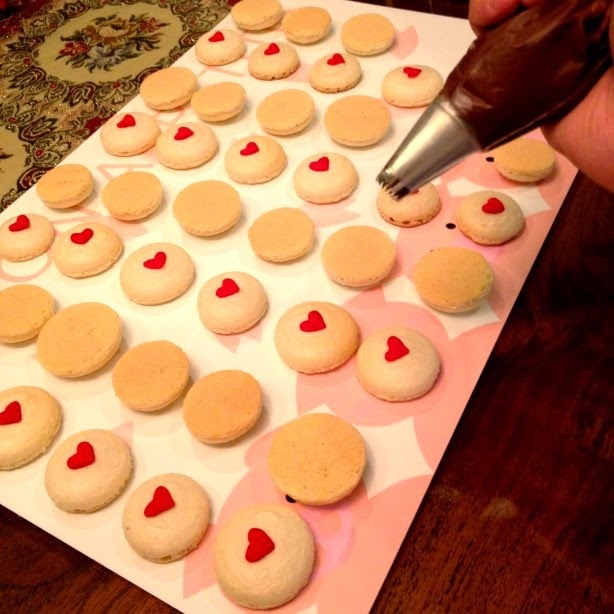 Below is a fool proof recipe which I use for all of my macaron bakes! **The way of folding your macaronage for both the French and Italian methods is the same. ** The troubleshooting areas are mostly the same too, just that some of the Italian methods doesn’t require the drying of shells. Most of the time, it’s easier to troubleshoot should you have a more specific detail to share. E.g. I have whipped my egg whites for an hour and they have yet to get to the stiff stage rather than saying I have whipped it for a long time yet it has not reach the stiff peak. From there we can conclude things like, “your egg whites/bowl has oil content that is hindering the protein structure from forming? Or your definition of very long is just 3 mins, which isn’t enough to form the peaks? Disclaimer: I never claim this is perfect. Just a picture for your reference. Firstly, there are a couple of pointers to take note before starting. 1. Have you read your recipe carefully? a. Make sure your recipe gives you measurements in grams. Any recipe that uses cups, try not to use them (unless you are sure every cup that you scoop up are same in terms of weight). 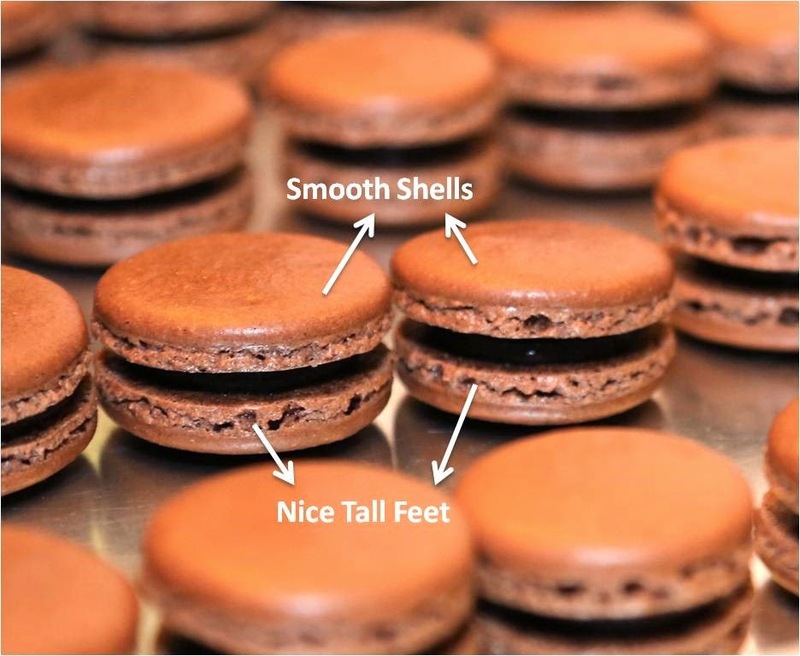 Not only are there differences between the UK & US metrics, macarons are finicky in terms of the measurements. It has to be right. 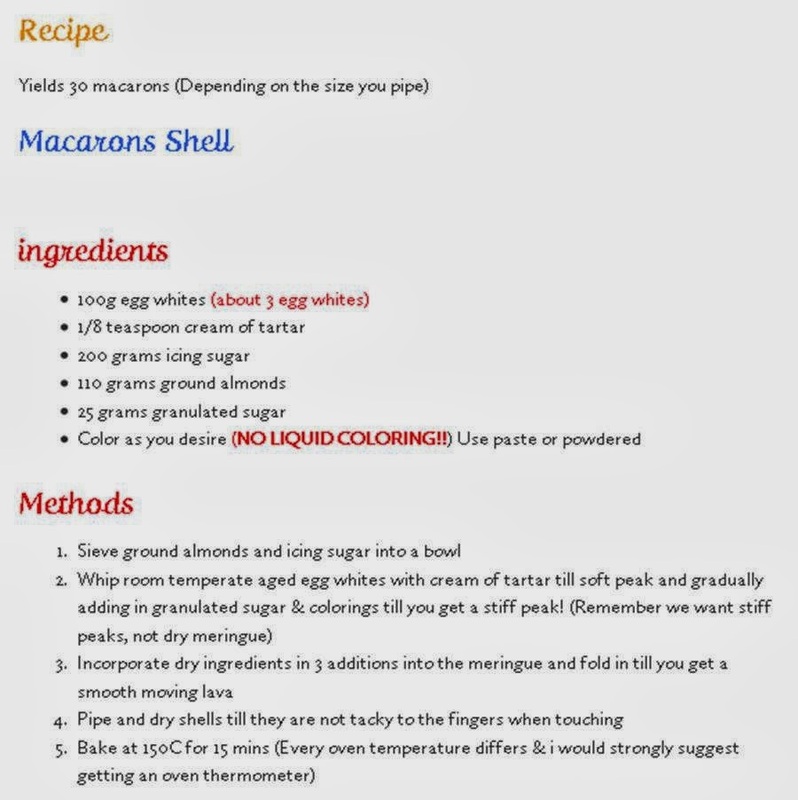 Too much or too little of anything is never good for macarons (that’s where you get cracked shells, bumpy shells, no feet, spread too much, peaks on the shells and this list can go on forever), or rather any form of bakes. 2. Are you doing a French or Italian Method? b. I don’t like the idea of having to cook a separate sugar syrup and my macarons feet are no less shorter than the Italian meringue method. But that’s entirely up to you. 3. Have you aged your egg whites? d. I have experimented and there’s no difference from aging them between 1-5 days. 4. Do you have all your ingredients ready? 1. Do I have to age my egg white? Is it compulsory? 2. Do I have to sieve my almond flour and icing sugar twice? · Personally, I do not do that. I only sieve it once and the only reason is because I’m too lazy to sieve the second time and that if you are using a fine sieve, nuts that don’t pass thru, you probably have to give it another blitz. 3. Does icing sugar with corn flour affects the end product? 4. How do I colour my macarons? · Always use colour paste/ powder! NO liquid colouring! You do not want to add additional moisture to your shells. 5. Can I reduce the amount of sugar in my macarons? · Yes & No! You could reduce the sugar in your meringue slightly but never the icing sugar in the almond flour mixture. The icing sugar is the once contributing to the structure of forming the feet. 6. Can I substitute almond flour for something else? · Yes, you could substitute them with ground peanut, ground pistachio or any nuts that you prefer. 7. How do I know if I have gotten to the right macaronage stage? · Personally, this is all up to your own experience with folding. Remember, FOLD & not STIR! I would say for 3 egg whites, I’m doing anything between 40-50 folds. · When your macaronage holds a “V”shape, resembling viscous molten lava, you are good. STOP! 8. How long do I have to dry my shells? · You could dry them either in an aircon environment or just dry it with a fan. It can get anywhere from 30 mins to 1.5 hours. It’s not about the timing here, it’s the environment you are in. So gauge by touching the shells and not the time. 9. How do I pipe round and consistent shells every time? · I have always done it free hand. But you could go ahead, get a piping tip and trace the circles on the parchment paper. Or you could get a template online. · Do a mental count while piping, like “1,2,3”than lift up. That way, you know your batter is almost the same amount in every cookie. 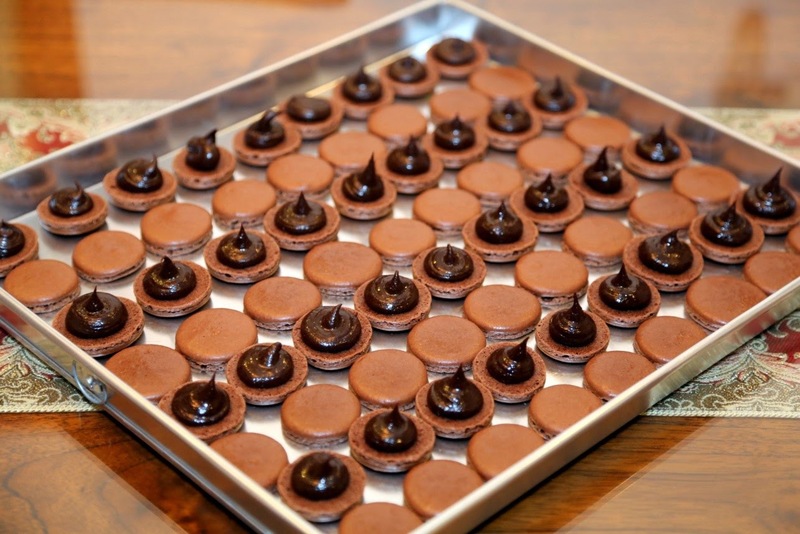 · I always pipe my macarons at an angle instead off straight up. It reduces the chances of peaks on top as well. 10. How do I know if the shells are ready for baking? 11. Why do my shells not dry even after a couple of hours? · There are a couple of factors that contributes to this. You could have over mixed you macaronage? Meringue is not stiff enough? Egg white has too much moisture? 12. Why does my batter have a peak after I pipe and rap on the bench? · You have under mixed you macaronage. Give it a couple more folds. 13. Why are my piped shells rough and uneven? · You almonds might have been under blitz. It needs to be really fine! 14. Why do my piped shells spread? 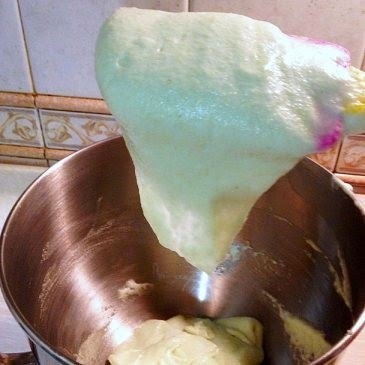 · You have over mixed your macaronage. They should stay roughly the same size as the batter that you have pipe. If they get super shiny and spread, you know it’s over mixed. · I would say throw the whole thing away. I never had any good shells with over macaronage. 15. Why do my baked shells crack? 1. You might have your meringue over whipped. Too much air was incorporated into it. 16. Why is there no feet? 4. **You should get the feet 5-8 mins into baking. 17. Why are my shells hollow? 18. Why do my shells have a sunken centre? 19. Why does the shell stick to the parchment paper?